Here is a summary of what's going on in the current residential real estate market in Maynard. Click the chart to view the complete report for Maynard including median prices by market segment, inventory, price changes. Real estate markets are fluid so it is important to have the most current information and these reports are updated daily. Positioning your property correctly for the current market is key to getting the highest price in the shortest amount of time. 5 year median sale prices for Maynard from 2014 though 2018: the median sale price for a single family house in Maynard has increased from $325,000 in 2014 to $382,100 for the year 2018. Click for the full report. Prices for condominiums in Maynard including new construction, townhouses at Deer Hedge Run, Apple Ridge, and Oak Ridge, along with duplex and garden style unit have also increased since 2014 - see the full report. Your home’s value: while statistics are helpful, the real estate market changes every day and the price your neighbor’s house sold last year may not be what buyers are willing to pay today. Positioning your property correctly for the current market is key to getting the highest price in the shortest amount of time. Low inventory makes this an excellent time to put your house on the market and capitalize on the pent-up demand. Contact me to talk about how to best position and market your house for the highest price in the least amount of time. Never miss another report - stay informed about what's going on in the Maynard market and you can also find data for any zip code in the U.S.
See all of the houses for sale iin Maynard or call 508-596-3501 for additional information about buying and selling houses in Maynard and the towns west of Boston. Check out the Local Market Reports page for links to reports for Sudbury, Wayland, Concord, and Stow. Click here for the latest market reports for Concord, Sudbury, Wayland, and Stow and contact me for information about other towns or specific properties. Maynard is located approximately 22 miles west Boston/11 miles west of route 128/Waltham, with easy access to routes 117, 62, and 2. It is west of Concord, north of Sudbury, south of Acton, and east of Stow. Maynard is a small town of with a population of just over 10,000. The downtown is home to Main & Mill which includes a variety of established and start-up companies including a new micro-brewery. There lots of places to eat, including Mexican, Korean, Thai, Chinese, Pub food, and more. There a number specialty shops, as well as larger chain stores including CVS, and The Paper Store. Maynard has a public library with activities for all ages, a movie theatre, a Boys and Girls Club, art space, parks and hiking trails, the Assabet river for canoeing, and the Maynard golf club. The he recently opened rail trail connects Maynard, Acton, and Stow., There are outdoor concerts and movies during the summer and a farmers market, and an old-fashioned ice cream stand (Erickson's) on route 117. Coming Soon: - Maynard Crossing (29 Parker Street) has announced that Market Basket Supermarket will be opening in the fall of 2019. Other retail stores are in process of securing leases. The mixed use development will also include rental apartments and an independent living facility. 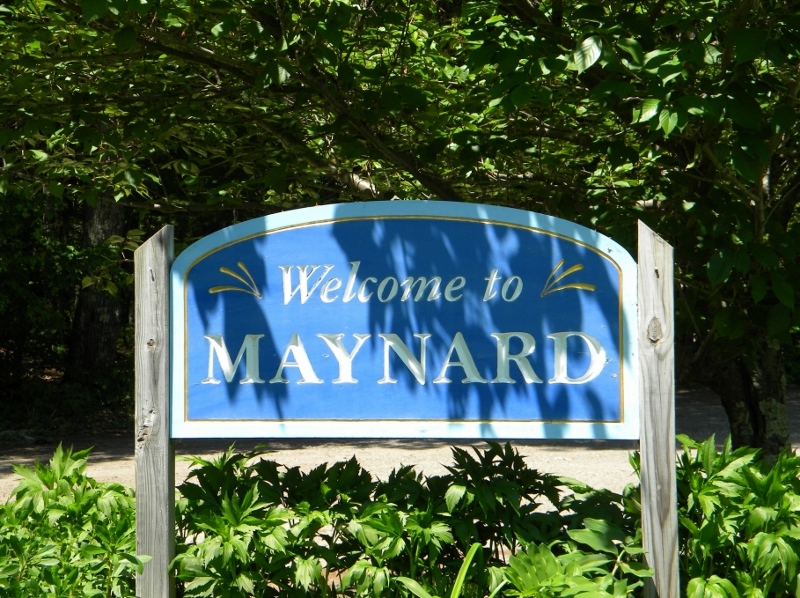 If you haven't been to Maynard lately, come see what you're missing! Even as prices go up, Maynard remains more affordable than neighboring towns and has some excellent opportunities for first-time home buyers. Today’s low interest rates make the housing market in Maynard especially attractive. Click here to see homes for sale in Maynard and learn about how having the right buyer agent/broker who knows the Maynard market can make process easier and more efficient.